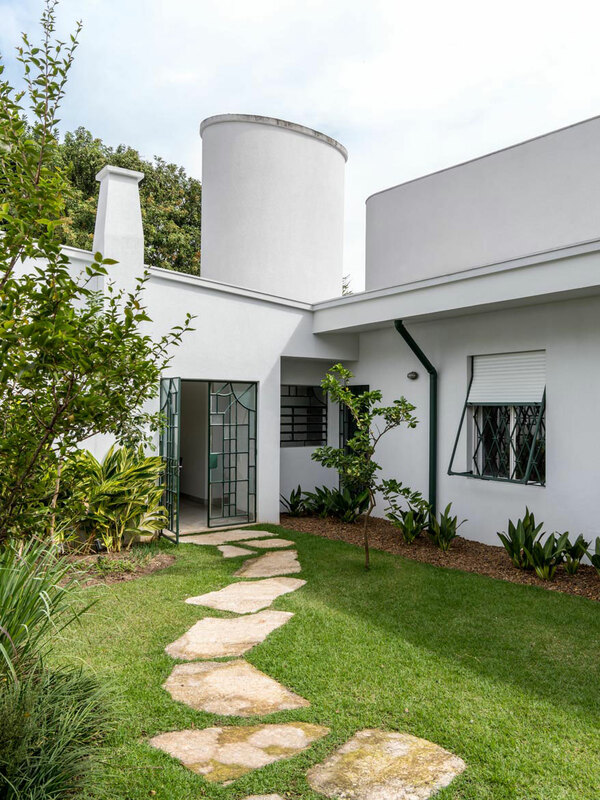 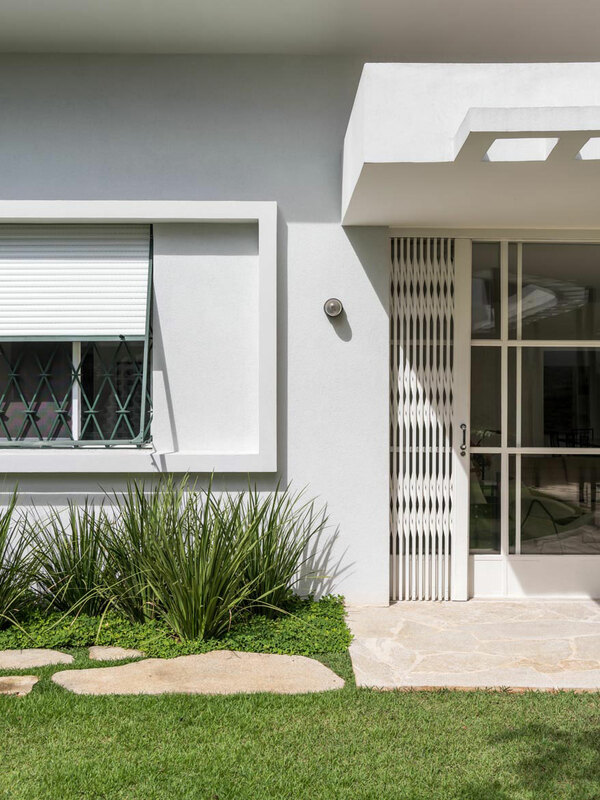 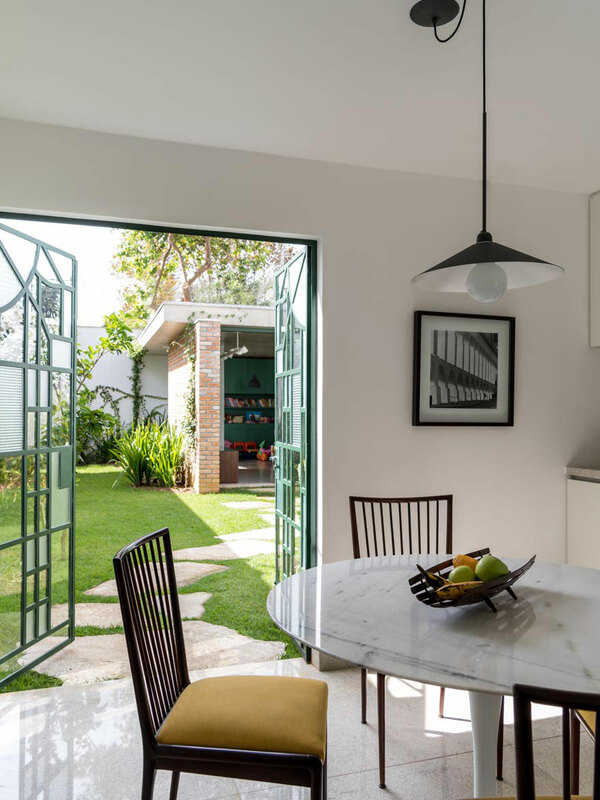 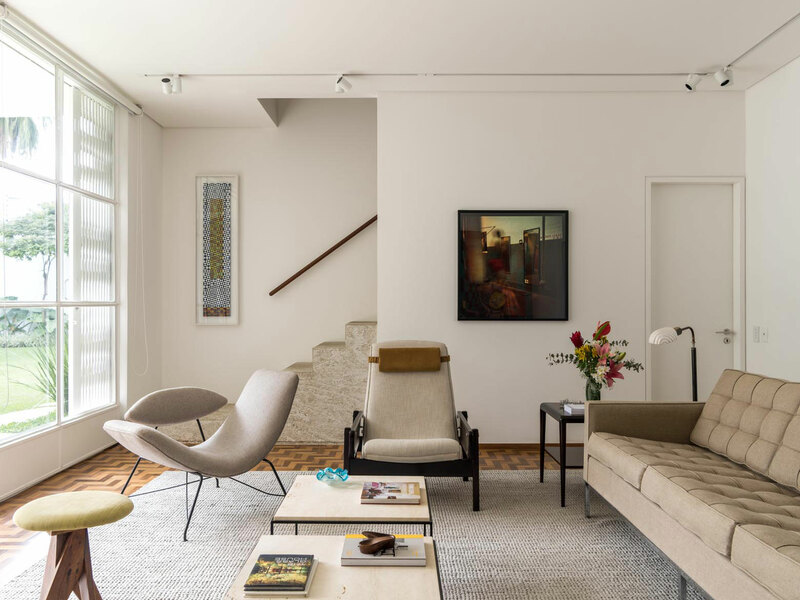 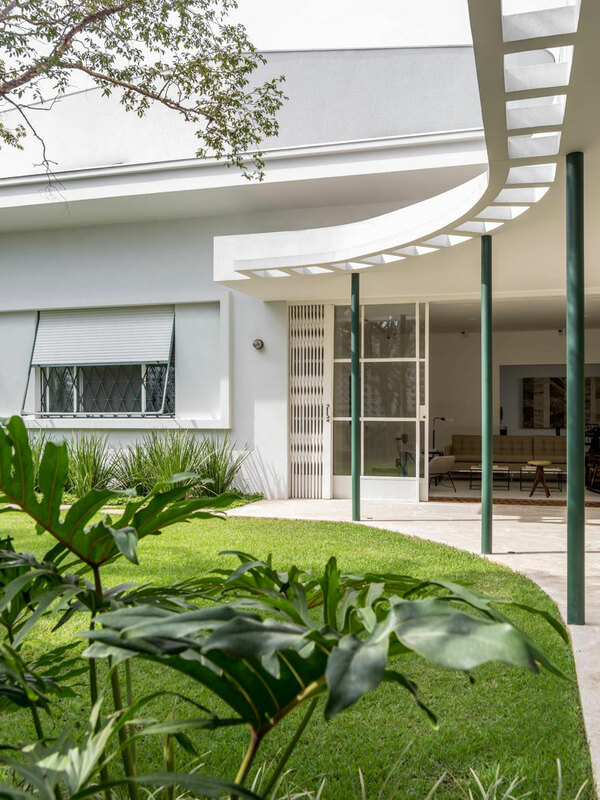 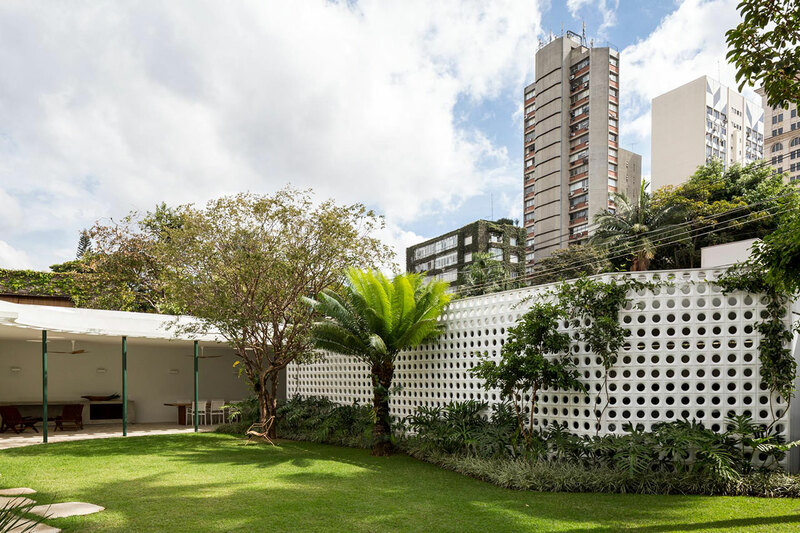 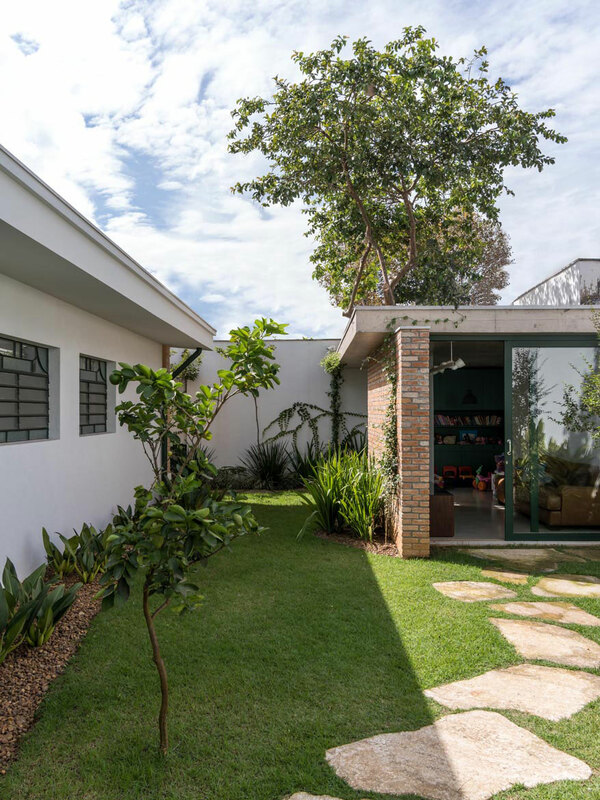 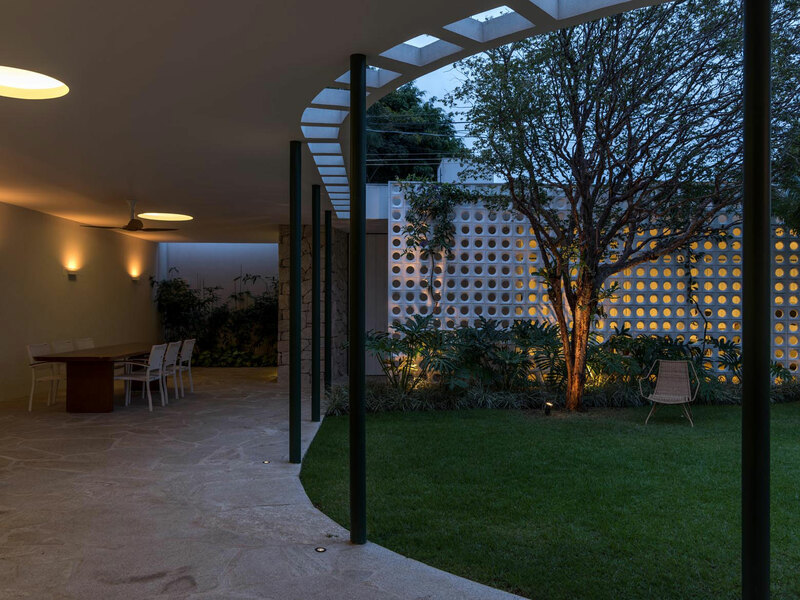 Designed in the late 1940s by modernist architect Zenon Lotufo, this family house in São Paulo, Brazil, has been thoroughly renovated and unobtrusively expanded by local architectural studio Felipe Hess in line with contemporary living standards while maintaining its original modernist character. 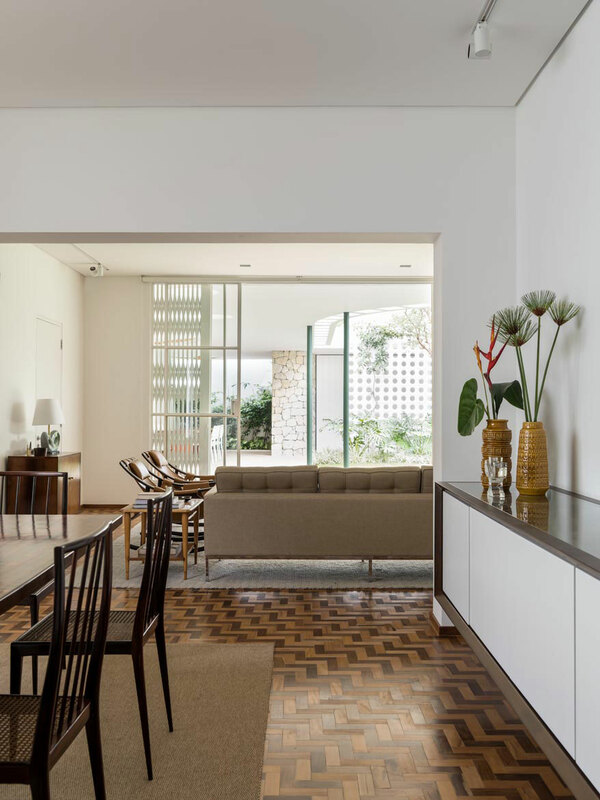 Originally consisting of a one-storey building with a butterfly roof, architects Felipe Hess and Lucas Miilher have added a new upper volume housing the study and home cinema, as well as strategically reconfigured the interior floorplan to complement all four bedrooms with en-suite bathrooms, and created a staircase to the upper level. 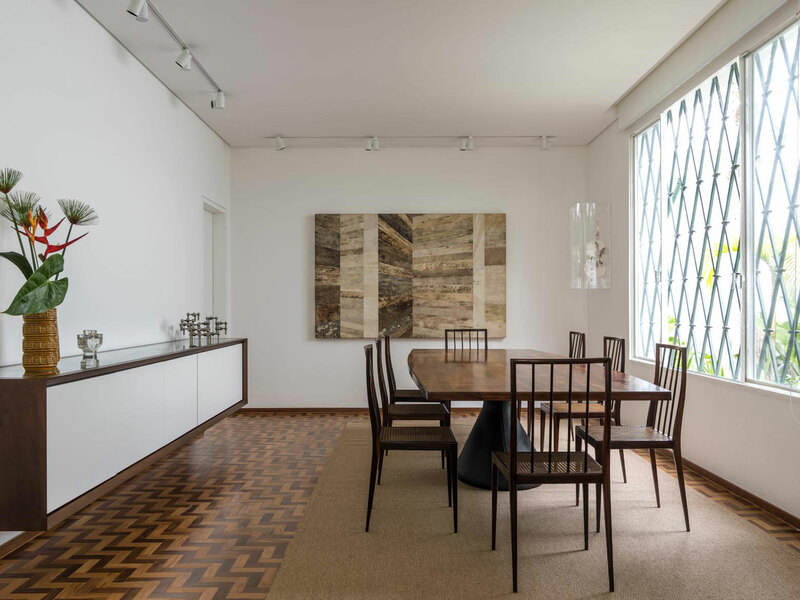 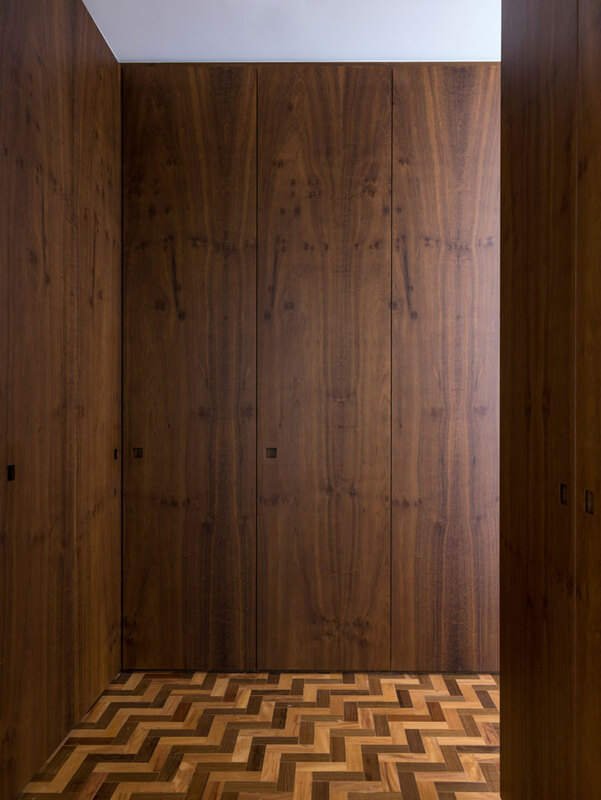 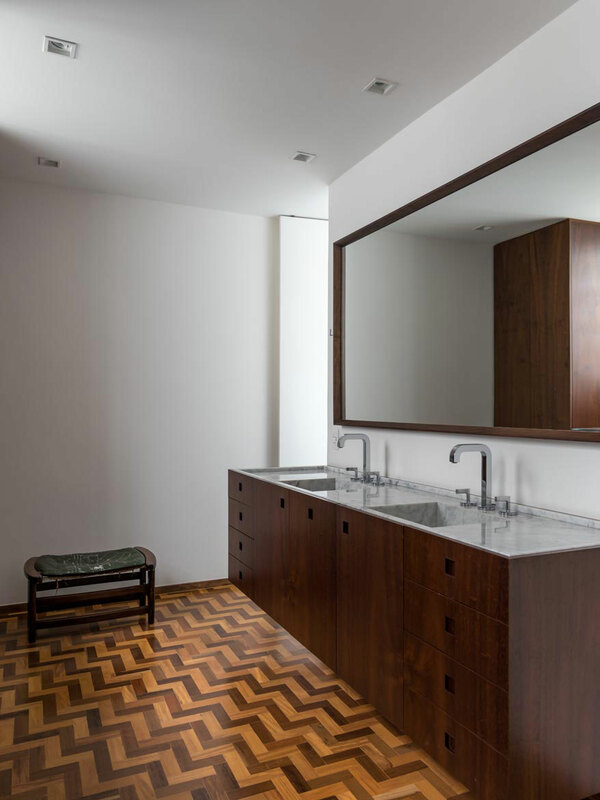 The renovation has also preserved several elements of the original interior design, the most prominent of which are the parquet flooring that features a herringbone pattern of two natural wood shades and the windows’ iron grills. 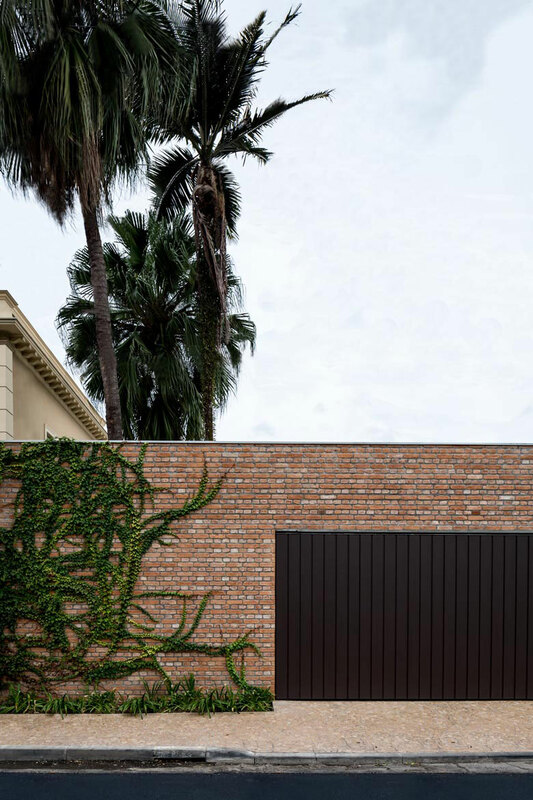 Completely redesigned, the front of the property now houses the garage shielded from view by a new hollow brick wall, its curvilinear footprint and circular apertures echoing the organic shapes of the courtyard marquee and cylindrical water tank as well as the new upper volume. 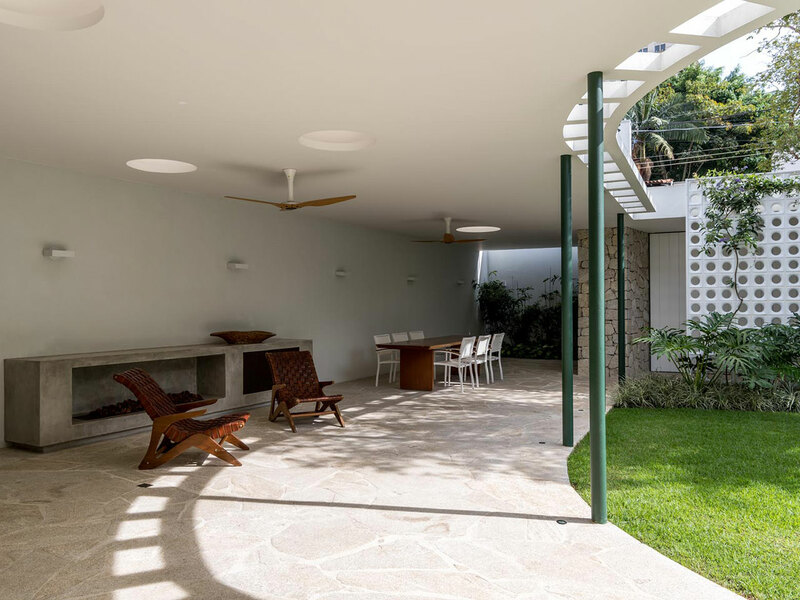 Linking the garage to the house, the semi-covered area under a marquee, which dates back to the original design, has been enlarged and now serves as an outdoors lounge complete with a fireplace, barbecue and dining area as well as circular skylights, both new and existing, which serve to bring in natural light. 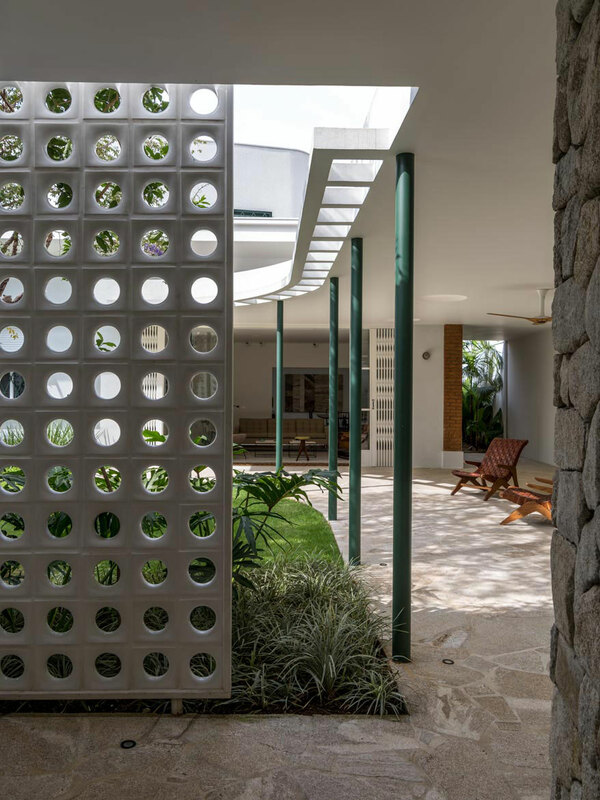 The architects have also recovered and rehabilitated the external finishes, such as the green shade of the metal columns and window grills and the exposed brick treatment of the lateral walls of the house. 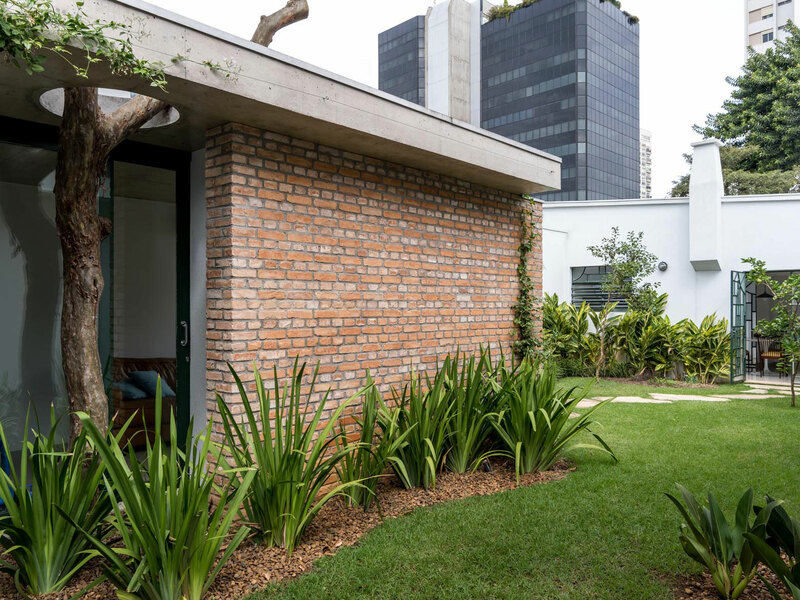 The brick finish has also been reproduced in the construction of a new outhouse at the back garden, meticulously designed to “hug” an existing guava tree, and a new roadside wall at the front of the property. 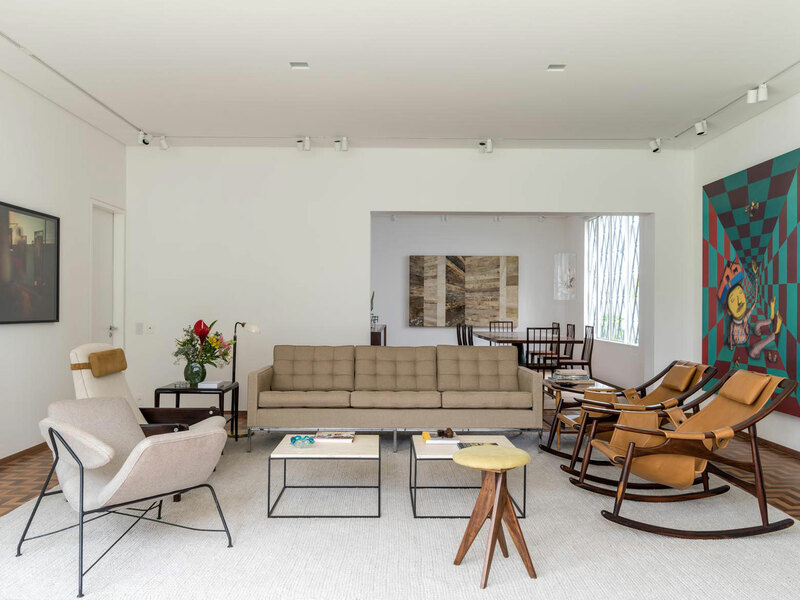 For the interior decoration the designers selected an eclectic mix of mid-century pieces from famous designers such as José Zanine Caldas, whose woven brown leather lounge chairs are featured in the outdoor lounge, Eero Saarinen, whose oval dining table of white marble fills the breakfast room, and Sergio Rodrigues, whose leather rocking chairs “rock” the living room. 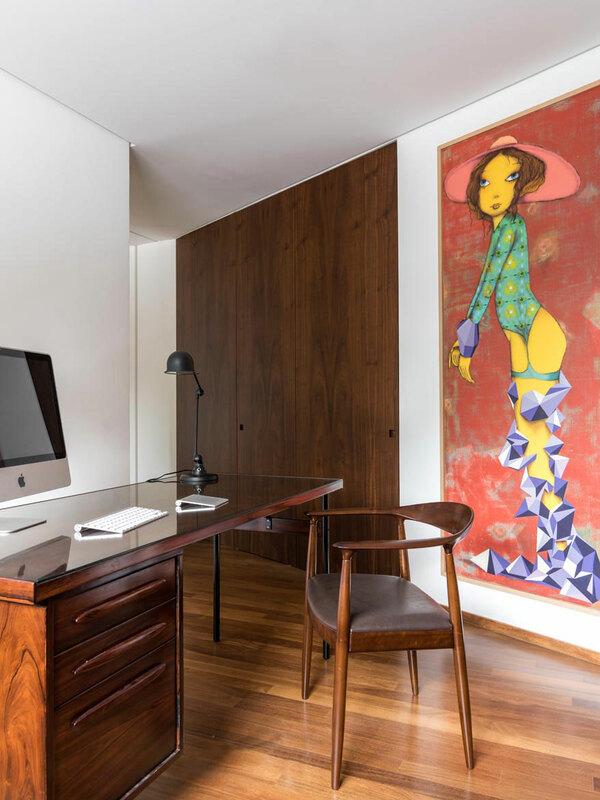 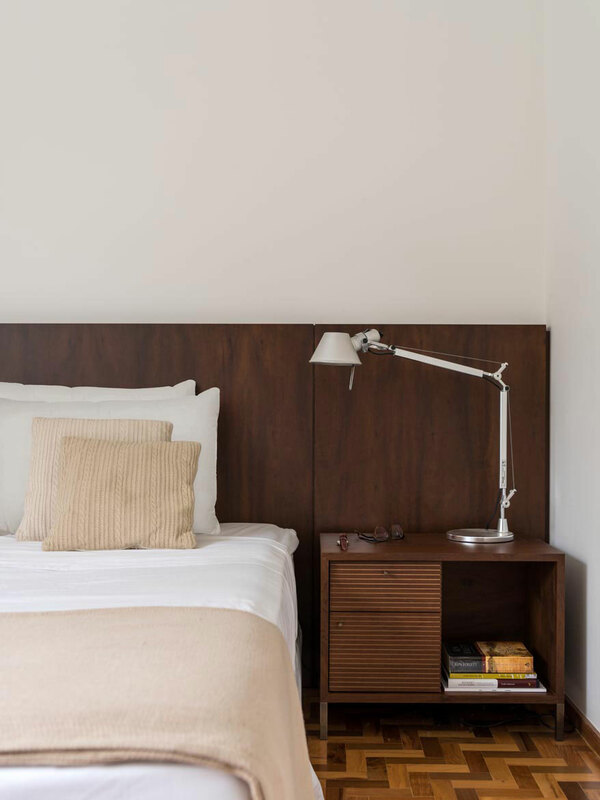 Complemented by clean-cut interiors of white-washed walls and dark wood-paneling, the rooms, much like the renovated building itself, project a timeless elegance steeped in modernism.